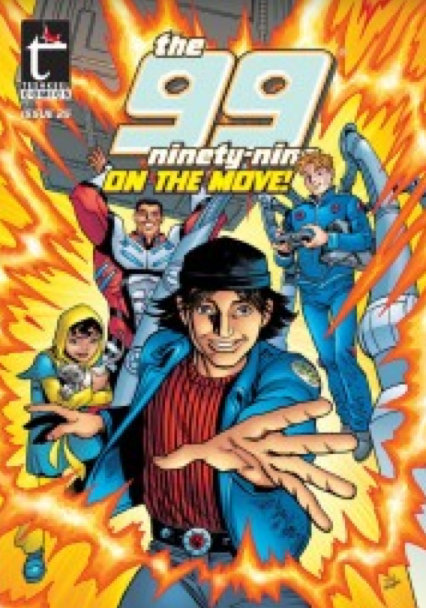 Saudi Fatwa against "THE 99" Tolerant Muslim Superhero Comics as "Evil"
Seven years ago, THE 99 [super-hero comics] were granted approvals to Saudi Arabia. What began as a suspicious relationship, my not expecting approvals to begin with, and their suspicion of the subversive nature of the content we were at loggerheads. It turned out that the solution was simple. I had to first get approvals from a religious authority for my superheroes to fly in the Kingdom.